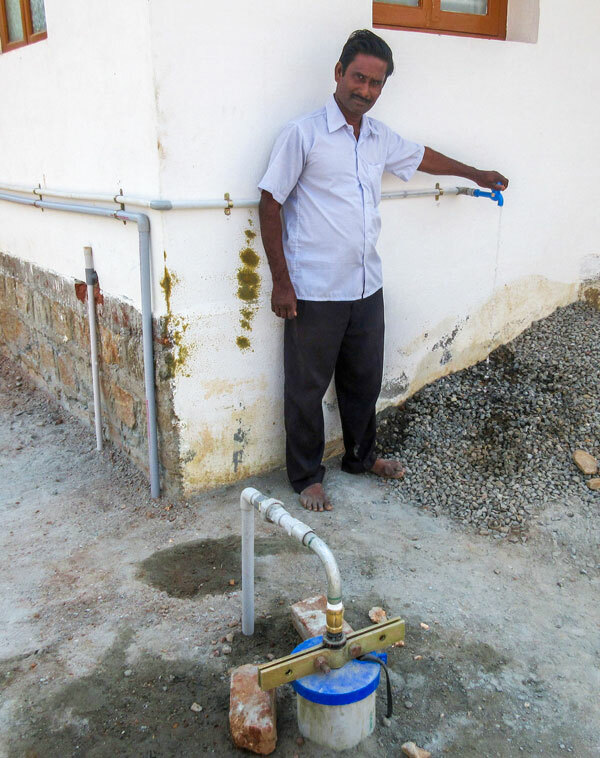 Following the excitement of the first village to get a bore well, and using the surplus funds given by Hemel Hempsted for this project, further funding became available to enable a second bore well to be dug this time at Pastor Immanuel’s church. Pastor Immanuel is a positive and adventuresome young man with a lovely family who managed to build a new church in a community where there are a number of small family run loom businesses making saris to order. The church still needs a proper floor but Immanuel is so grateful for the bore well which will enable him to share this benefit with the surrounding village families.